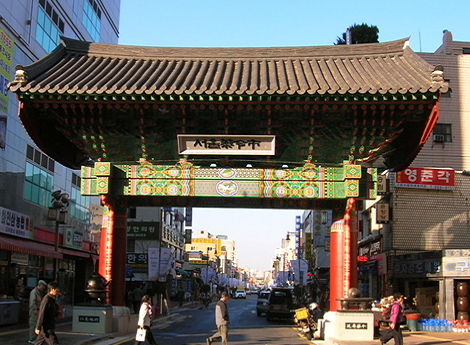 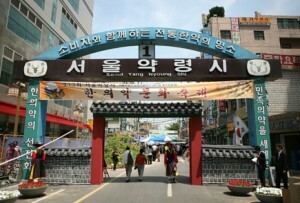 Seoul Yangnyeong Market is one of the most famous oriental medicine markets in Korea. The market slowly started to establish itself in the late 1960s when small medicinal herbs stores started opening one by one. 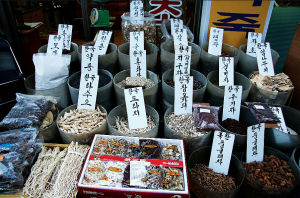 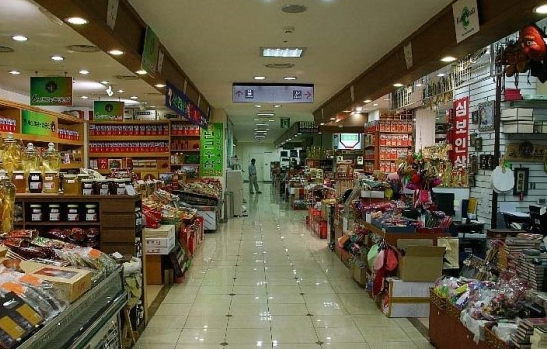 Today, the market has grown to become the nation’s largest oriental medicine market, and 70 percent of the oriental medicine traded in Korea goes through here. 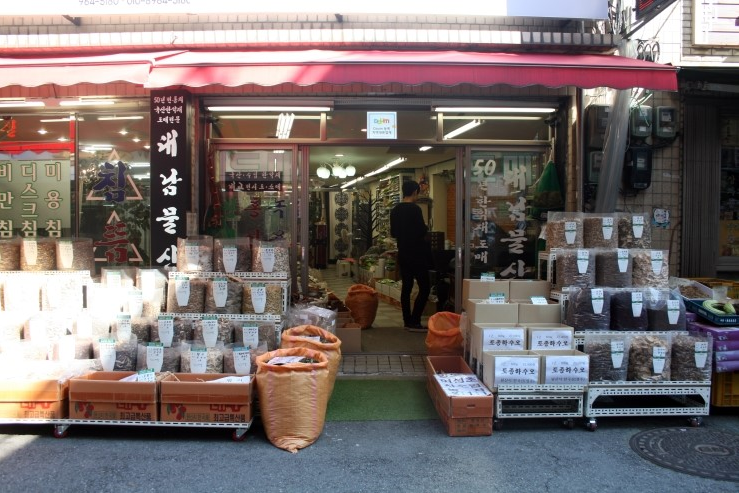 Because the market is able to minimize distribution costs, the medicinal herbs sold here cost around 30 percent cheaper than elsewhere. 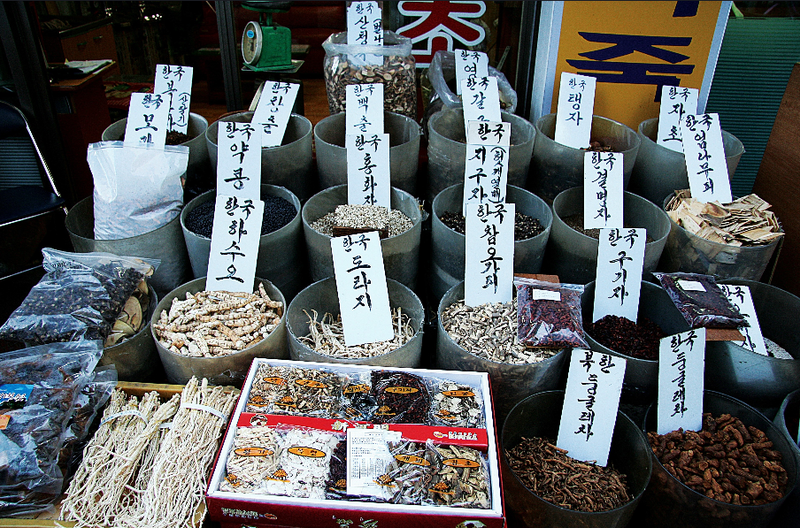 As traditional Korean medicine gains popularity, more and more tourists from China or Japan come to Korea.